The first full day of the Disney D23 Expo brought us some exciting new Star Wars fashion news from Her Universe! 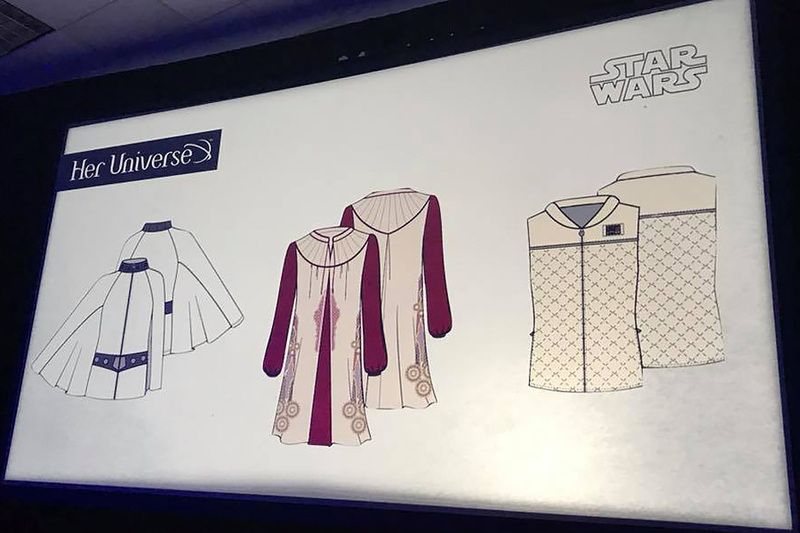 During the ‘Walt Disney Company’s Celebrated Product Legacy And The Exciting Future Ahead’ panel, Ashley Eckstein revealed many new upcoming fashion designs, including 3 new Star Wars items inspired by Princess Leia! Just shared at D23 Expo these new designs coming to Disney Parks and Disney Stores in the fall and early 2018! Ashley notes these items will be available at the US Disney Parks and Disney Store later this year/early next year. For those of us unable to visit the parks, hopefully there will not be much of a delay between these items being sold at the parks, and being available online (like the Ashley Taylor timeline skirt, which showed up online 7 months later launching at the parks). 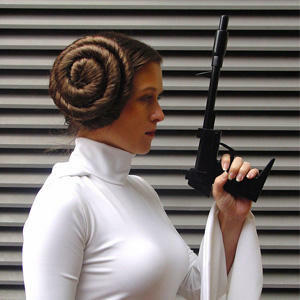 While it is a little sad that it is only after Carrie Fisher has passed away that we finally see an increase in the range of Princess Leia themed apparel, but at least companies are finally recognising her importance to fans, and her place in the Star Wars saga. Check out the panel video on youtube, from Inside The Magic – Star Wars fashion reveals start at 1.21 mins. Photos sourced from and belong to Her Universe, Video belongs to Inside The Magic. Gorgeous New Our Universe Princess Leia Jacket!